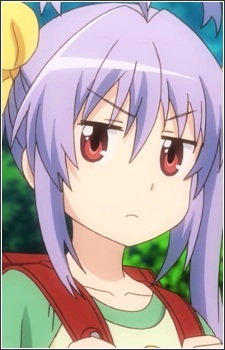 Renge is a first grade elementary school student of the Asahigaoka Branch School. She is Kazuho and Hikage's youngest sister. She generally acts her age, being very precocious and curious, but is usually shown blank and expressionless that makes her look mysterious and incomprehensible. Despite this, she is quite friendly and affectionate. She is always seen with her recorder and likes to assign nicknames to her friends. She is also talented in drawing and performs well in school. She is quite attached to Kaede, who she likes to call "Candy Store," and is very fond of her since she was a baby. She greets her friends by saying "Nyanpasu."